Moxie Shield 1300 is a water repellent, surface sealer formulated for all types of natural brick surfaces. Prevents water and moisture penetration on vertical, above-grade and natural brick surfaces providing long-term protection. Suitable for interior, exterior, decorative, and historical applications. 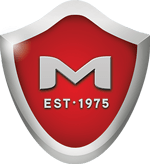 Moxie Shield 1300 Brick Sealer is a water based, non-toxic, non-flammable sealer. 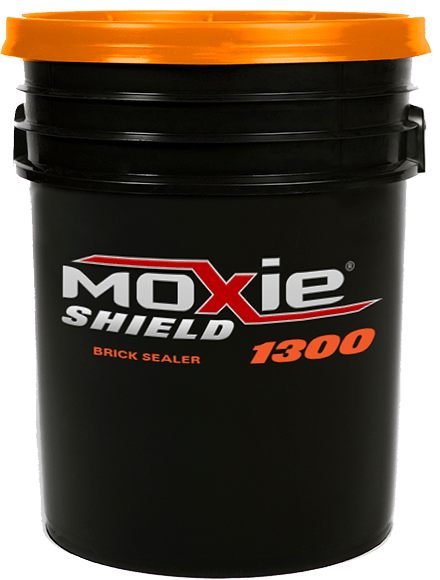 When applied to brick or ornamental surfaces, it undergoes a chemical reaction, which changes MOXIE 1300 BRICK SEALER from a liquid to a hard silicon resin that dries in 24 hours to form a water repellent barrier. Treatment forms a water repellent zone up to 3/4 of an inch deep for porous brick and mortar, ranging down to 1/4 inch for dense, fine pored brick masonry products. Test data shows superior results over silane/siloxane sealers without alcohol or petroleum solvents. Moxie 1300 produces a breathable, water repellent surface suitable for wind-driven rain.